Hi, there! 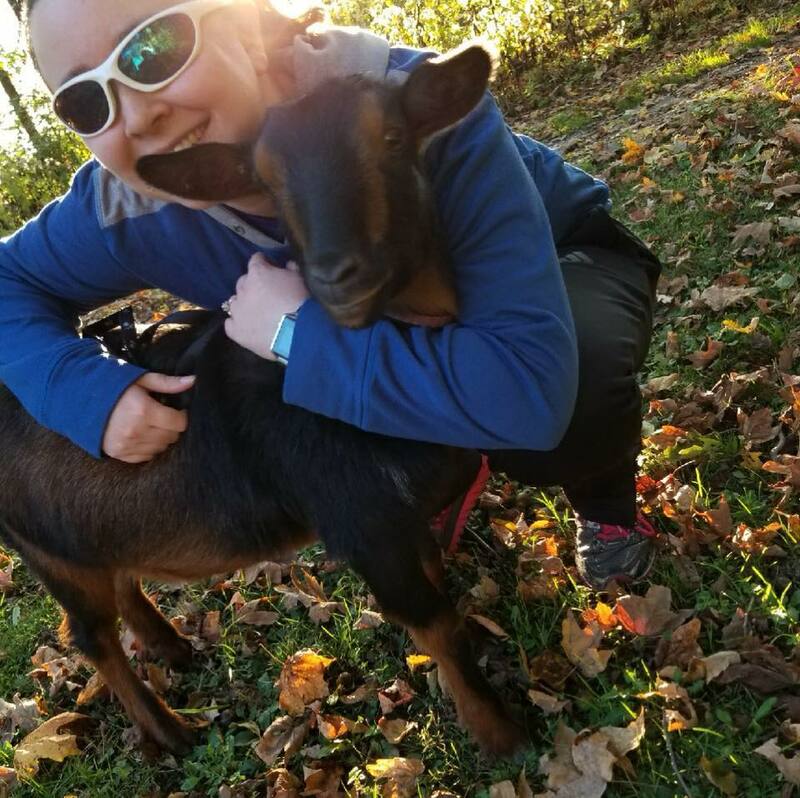 I guess I should share our story of how my partner and I became “crazy goat ladies.” In September 2016, we had a chunk of our chickens taken out by a predator. We decided we would try the local livestock auction, as laying hens were proving hard to find at that time of year. So, we went to the auction and didn’t come home with any chickens. We did, however, come home with something completely unexpected. Two day-old baby goats. That’s right. Goats. I had ACCIDENTALLY bid on baby goats. Pesky nose itch! We had no idea what we were doing and they were horribly ill. It took MONTHS of worry, hard work, research, and dealing with really gross bugs (you don’t even want to know!). Our little Momma’s boy, Octavius, even had to go up to Purdue University, an almost 2 hour drive. He needed a very expensive emergency surgery, but I couldn’t be more thankful that his issue was caught in time. That is truly when we realized these baby goats were much more to us than just animals. They are our kids. I’m happy to share that they are completely happy and healthy now, but that certainly doesn’t make us worry about them less! Granted, we know we can’t possibly love them as much as a real parent and child, but it is a VERY close second. I have always struggled with depression and I found it IMPOSSIBLE to be sad around these crazy, spunky, hilarious, cuddly little creatures. Octavius is our ladies man. He just LOVES the ladies and the hair that is usually on their heads! Billie, our girl, is one sassy little lady, but she is fierce and loves her brother very much. Amongst this “happy little accident” they turned out to be, there were some not-so-happy accidents along the way. However, these accidents turned out to be fate’s way of setting me up to pursue my dream. My Mama always told me I was going to end up having a zoo, because as a child I just wanted to save and keep ALL the animals. Though I still do, I know I can’t possibly keep them all and give them the life they deserve. So right now, I’m settling for 3 cats, 2 dogs, 10 goats (soon to be 13!! ), 20 some chickens (some rescued from big commercial farms once they were deemed “useless”), and some bunnies also saved from the livestock auction (Our bunny Jack Jack had messed up legs but now after being able to move around more, he has straightened out!). Feeling the love from animals may be the best kind of love to feel because you know it comes with no judgment. Long story short, I finally got my “zoo” and it has saved my life...many times. I have always wanted to help communities and animals. I have always wanted to be something that is improving other’s lives, whether they be human or animal. I would like to save more baby goats from livestock auctions, that usually end badly for the unhealthy goats. 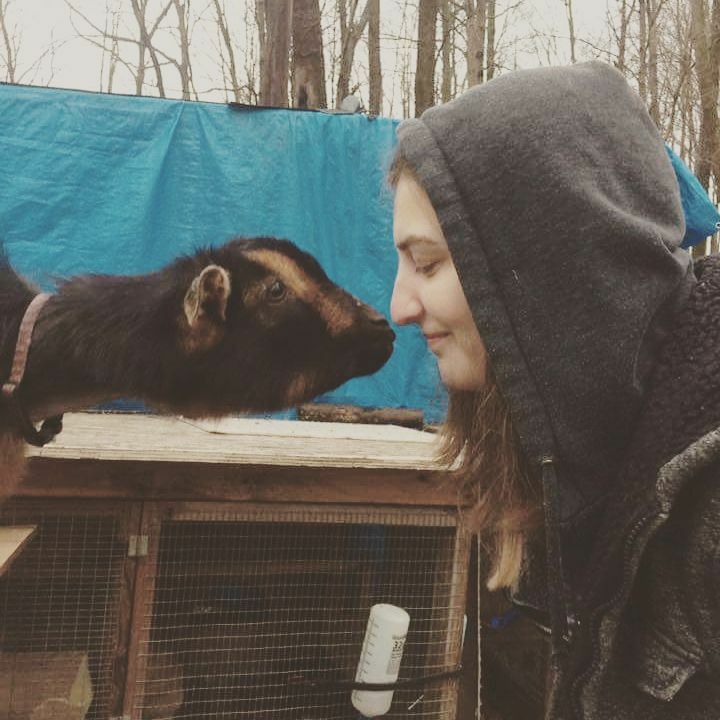 I am a personal testament of how much goats can help with mental illness. Emotional support animals have healing powers that have been widely embraced across the United States. Goats are the perfect animal to make you laugh and put a smile on your face...just watch the hair! 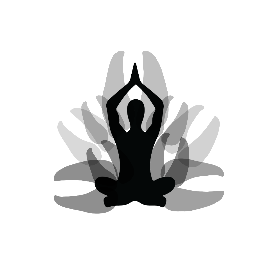 My yoga instructor, Georgia, stated to me that her passion from yoga developed because it helped her anxiety and depression. Here we have two people extremely passionate about two very different things, but we’re bringing them together, for one common cause--to better the community and the mental health within it. I also want to allow the community to bond with these amazing animals, thus showing how special goats truly are. Most people don’t even know how entertaining and lovable goats are until they meet them. Lynsay is partner of Owner, Jordan, both outside and inside of the business. She has a passion for basketball and athletic wear. She also discovered her love for goats when they adopted their first two kids. She loves spending times outdoors and playing with the kids! Georgia was introduced to the practice of yoga six years ago. After battling with severe anxiety and depression a friend suggested she give yoga a shot as a way to cope. She started with a simple but effective home practice and within weeks was astounded with the impact yoga was having on her. Needless to say, she hasn’t stopped practicing since. Her personal love for the practice eventually evolved into a need to share this gift of yoga with her family, friends, and community. She has a soft spot for beginners yoga but loves teaching a fiery power class as well! 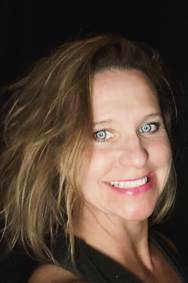 When she’s not teaching you can find her with her nose buried in a book, sifting through racks at thrift shops, or walking her one eyed dog Nanners.